Easy Appetizers are my favorite! This recipe transforms leftovers into the star of the show when you top buttery Ritz Crackers with melted swiss cheese, turkey and cranberry sauce. 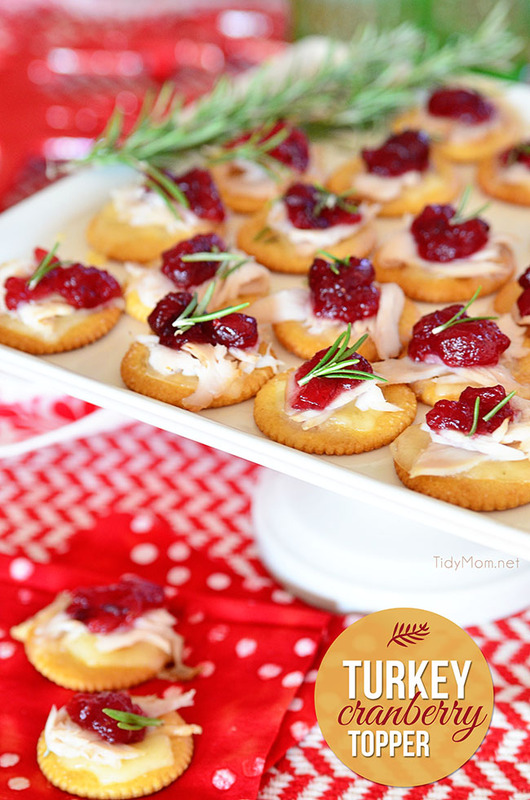 These Turkey Cranberry Toppers couldn’t be more simple to make and will be a hit at your next gathering! The colors alone are enough to put you in the holiday spirit. This post brought to you by Ritz. The content and opinions expressed below are that of TidyMom. It’s that time of year when many of us are entertaining and always in need of a quick and delicious appetizer recipe. 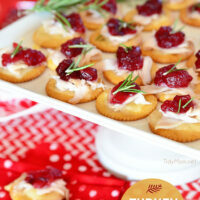 This year my go-to apps are these Turkey Cranberry Toppers. They can be ready and in your belly in less than 15 minutes. A tiny bit of fancy, a whole lot of easy and really great taste. 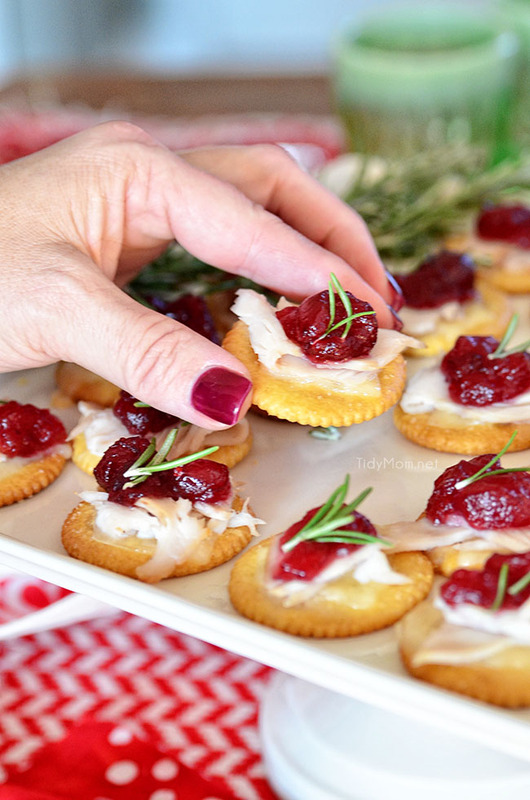 This appetizer is actually perfect for holiday-time because you can use leftover turkey and cranberry sauce piled high with a little swiss cheese on a Ritz cracker. And if a person might not have leftovers because they already ate it all (what? we’re hungry! ), that is no problem deli turkey will work fine too. If these beauties don’t get you into the holiday spirit, I don’t know what will. Check out how quickly they come together ………everything you could want in a winter or holiday hors-d’oeuvres. Enjoy serving these easy Turkey Cranberry Toppers for lunch, serve as a halftime snack or even as an appetizer at a holiday party. This recipe transforms leftovers into the star of the show when you top buttery crackers with melted swiss cheese, turkey and cranberry sauce. HEAT oven to 350°F. 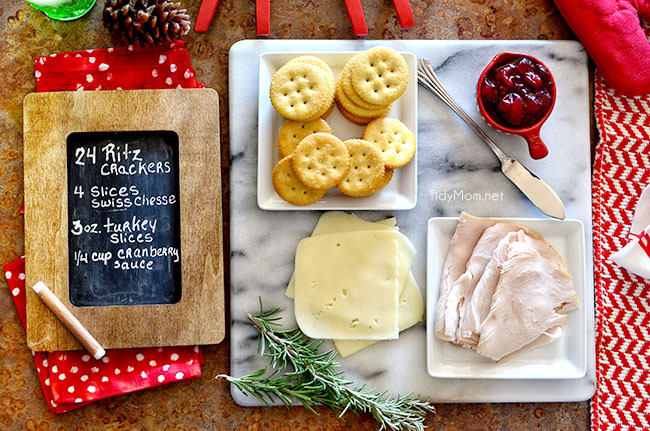 Place crackers in single layer on baking sheet; top with cheese and turkey. Spoon cranberry sauce on top. This holiday appetizer is gorgeous and looks absolutely delicious! Pinned! These are so awesome. I just happen to have a bag of leftover turkey in my freezer!! Your photos are gorgeous too!! I love easy appetizers and there is no way you can go wrong with these beauties! Pinned! OMGGG these are so cute and I love that you can eat it in one bite! 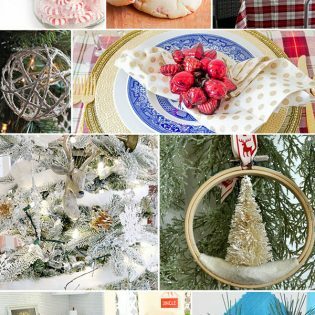 Love easy holiday apps like these!! Yum!! Nothing beats Ritz crackers, they are the secret ingredient in my bourbon cocktail meatballs, and I use them as a crust for New England style broiled fish — I love your easy appetizer, I’m definitely going to try them this year, thanks! Love this easy idea to use up turkey leftovers, and it’s completely festive for the holidays too! They look pretty and yummy! I would have never thought of baking/melting anything on top of a Ritz, so smart! I love cranberry sauce, cheese, and crackers. I serve them for every get together during this time of year. Wow, gorgeous appetizer! 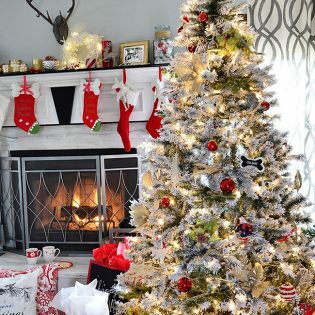 So simple, but so festive! what a perfectly pretty appetizer! Easy and yummy…..Perfect for a party! These are the perfect appetizer for Holiday parities! Love!! What a festive and delicious appetizer! Mmmmmm…I can almost taste these. I love cranberry sauce so much. And on those crispy buttery crackers, YUM! LOVE this. The Ritz cracker is the perfect salty bottom to balance the toppings. These are awesome Cheryl!! Easy appetizers really are the best 🙂 I would have a hard time not eating a whole plate of these lol. These are so pretty!! I love them as an appetizer, but I bet my kids would also love them as lunch! I love Ritz crackers! And although I’m perfectly content eating them straight from the box, I love how you dressed them up as a holiday appetizer.